Participatory mapping—the production of maps in a collective way—is a common activity used for planning and decision making in urban studies. It started as a way to empower men and women, usually from rural vulnerable communities threatened by climate change, degradation of their landfills or any other conflict related to access to their land. It has been considered a fundamental instrument to help marginal groups represent and communicate their needs within the territory and augment their capacity to protect their rights. (FIDA, 2011). 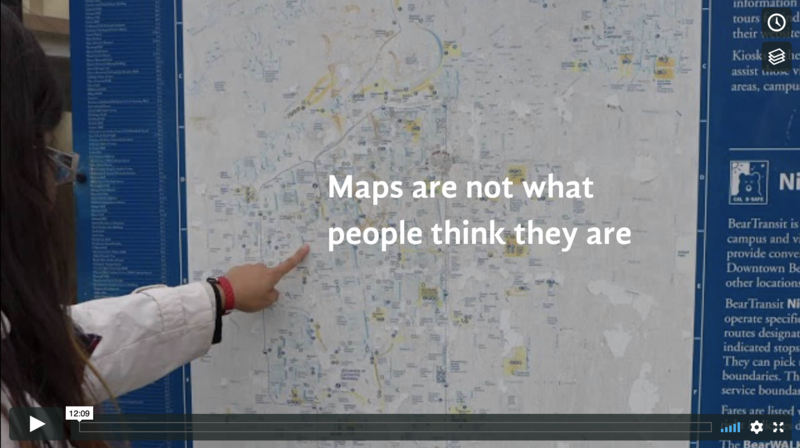 Why is it that in some cases participatory mapping works and in others fails? Why do these initiatives not trigger local action? Or even end up being counterproductive, when authorities use the map made by locals, to validate their points, causing conflict instead of negotiation? As a research team of designers and social scientists involved in the creation of participatory mapping workshops, our goal was to analyze the process and resources and different outcomes of some participatory cartographic projects, including one developed by us for three small communities of the original settlements of the West Mountain Region of Mexico City. Our findings outline three main principles to consider when pursuing a community mapping project whether using low-end or state of the art technology, in order to involve a community, validate their knowledge acquired from the mapping practice, and foster collaboration and organized action.